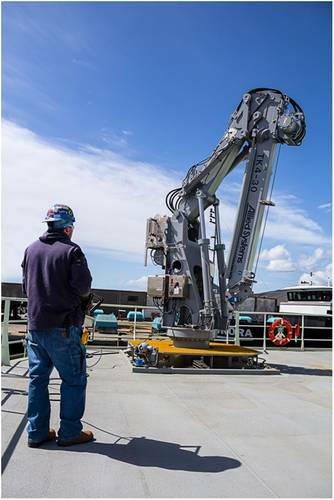 The two cranes supplied to the R/V Neil Armstrong are the TK4-30 portable crane and the TK70-70 aft-deck main crane. 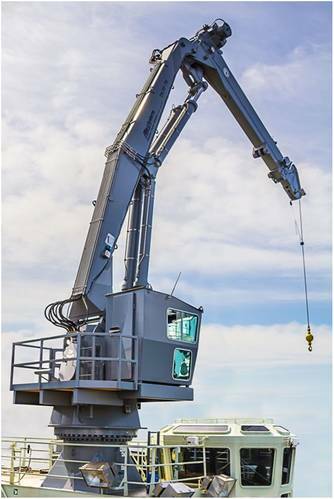 Both cranes provide access to tight spaces, preservation of deck space and additional reach capabilities to increase versatility. 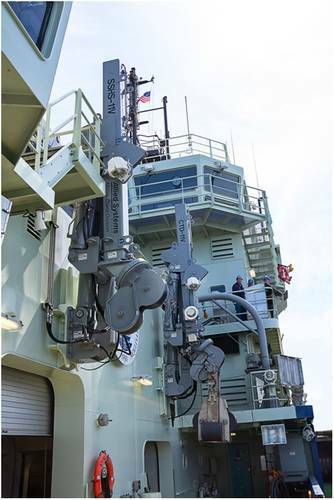 The portable TK4-30 is the first of its kind; it is easily secured to standard UNOLS deck mounting patterns, allowing for mounting in just about any location on deck. The TK70-70 can reach every corner of the aft-deck, and with a 20,000 lb. 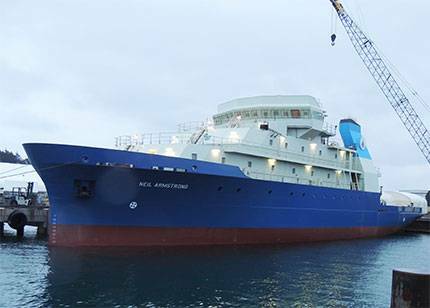 capacity at all positions, it can handle workboats, seagoing containers and scientific equipment. The stern A-frame provided by Allied Marine Crane has the capability of lowering into an easily accessible maintenance position (60” above deck surface) to reach the over boarding sheave and make necessary adjustments without putting crew members in unsafe conditions. 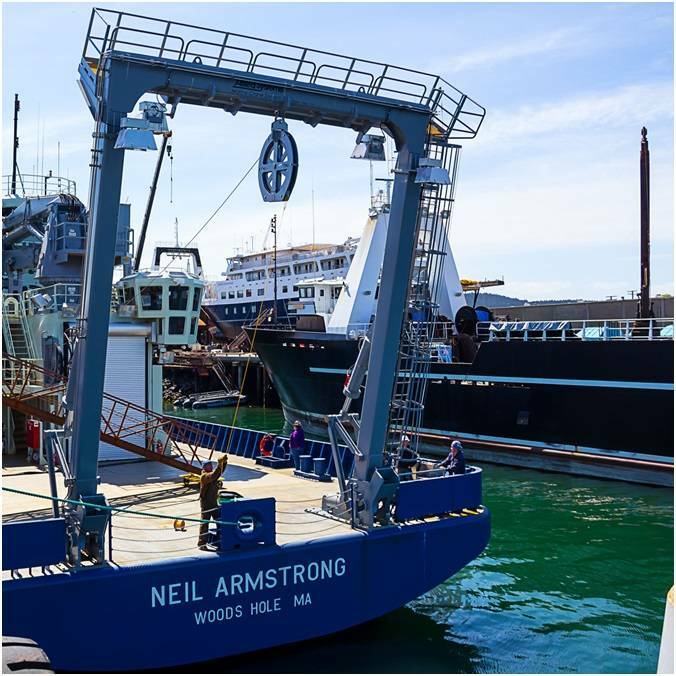 The R/V Neil Armstrong also comes equipped with a CTD Handling System and Starboard Handling Device – both of these devices extend to the waterline for improved load control and overall safety. The CTD Handling System comes equipped with a revolutionary design enabling dampening in two-axes. Additionally, both the CTD Handling System and the Starboard Handling System are equipped with a universal UNOLS bolt pattern to mount CTD docking heads, flagging sheave case or other scientific equipment. 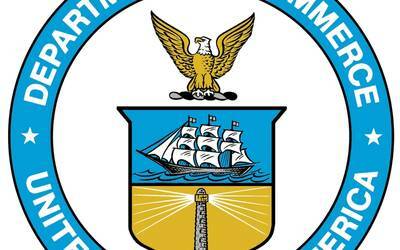 Allied Systems Company said it continues to remain fully engaged with the scientific community and is building for the future of specialized scientific research. The U.S. Navy Office of Naval Research has selected the Woods Hole Oceanographic Institution (WHOI) to operate the Neil Armstrong vessel once commissioned. R/V Sally Ride (AGOR-28), currently nearing completion, will also feature a complete set of Allied Marine Crane equipment.